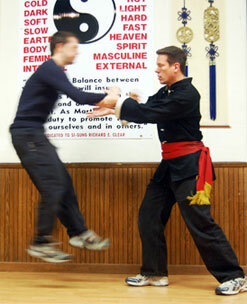 Internal Skill is what separates Tai Chi from the external martial arts. Clear’s Internal Push Hands is one of the fastest ways to build Internal Power & Skill. You can’t get it by doing crunches or lifting weights in the gym. 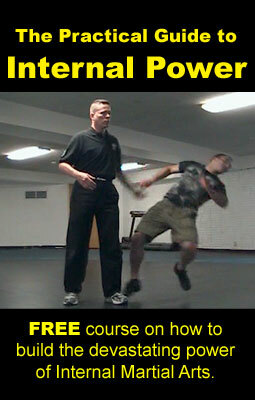 Internal power is not about strength or size and without it there is no Tai Chi Chuan. Just empty choreography. It’s about deep relaxation, advanced body mechanics & breath-work. It’s about knowing your opponent’s body and mind better than he does.